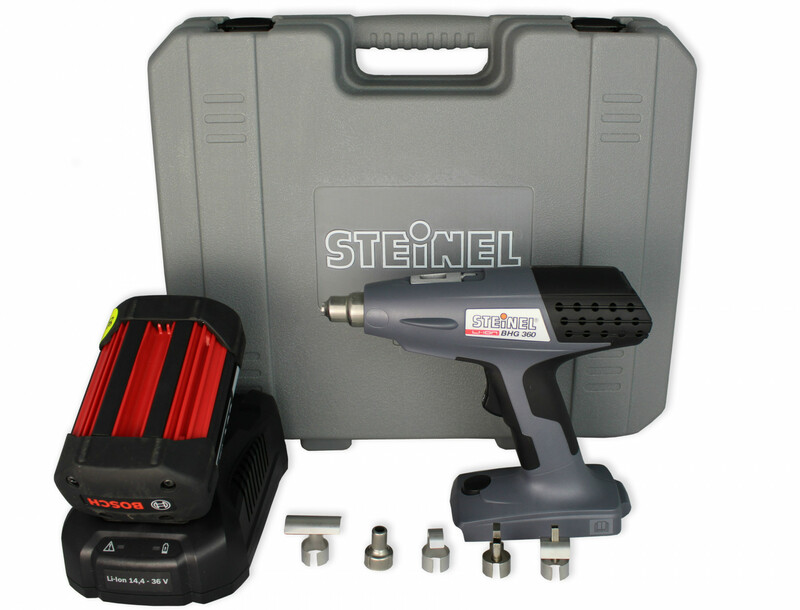 Professional quality Steinel BHG 360 Cordless Hot Air Gun Kit. 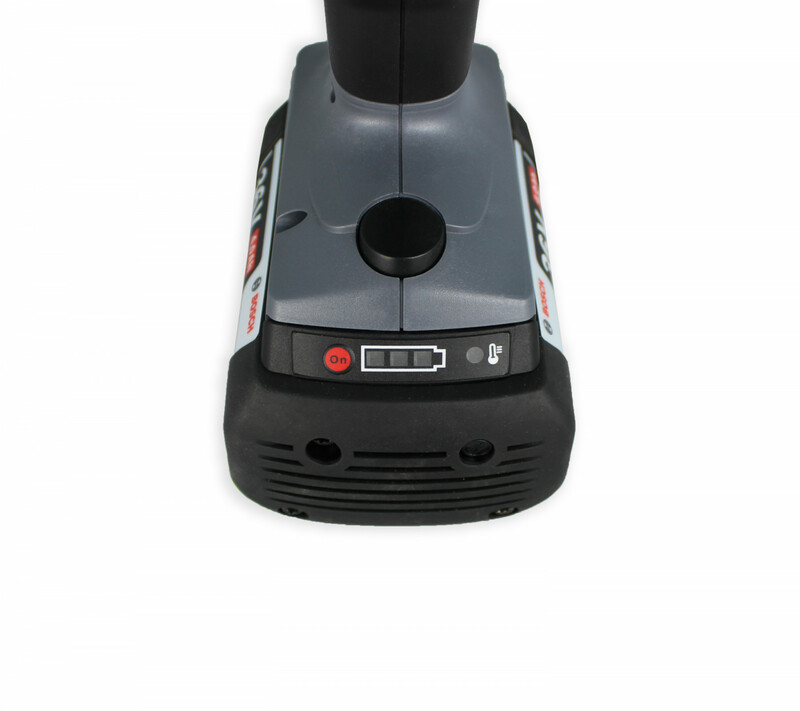 Long-lasting ultra mobile cordless heat gun supplied with a full range of nozzles for different purposes. See below for the full kit contents. 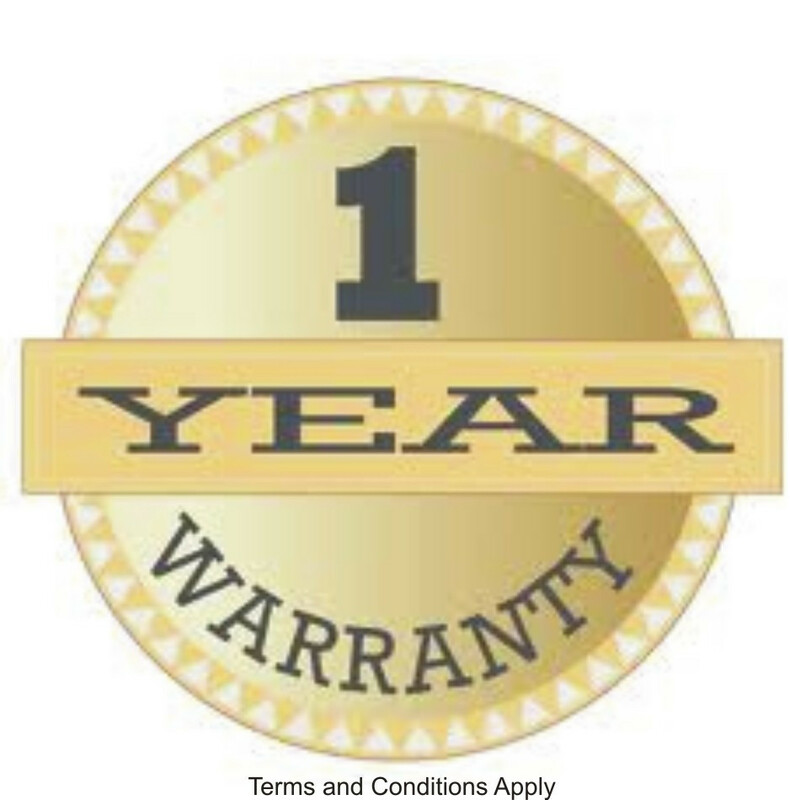 Available From Stock with Fast Delivery! 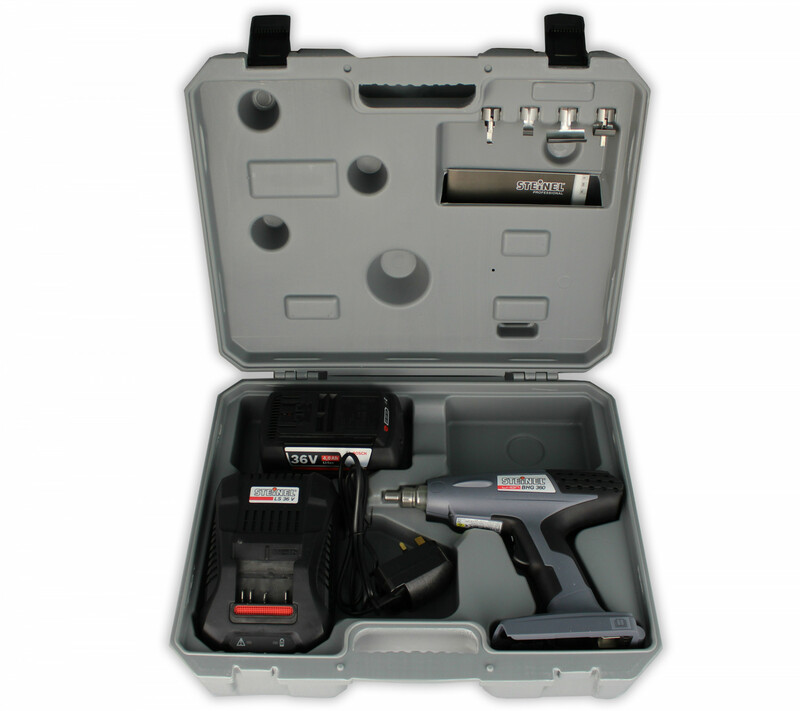 Professional quality cordless heat gun kit, approved for use on the London Underground and supplied with a full range of heat gun nozzles and a handy carry case. 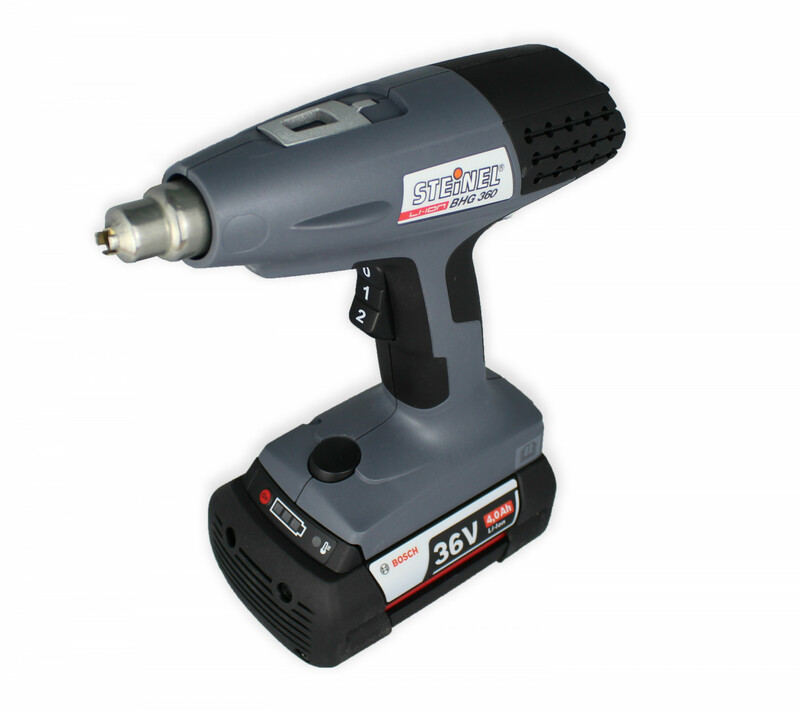 Cordless Steinel heat gun provides superior mobility. 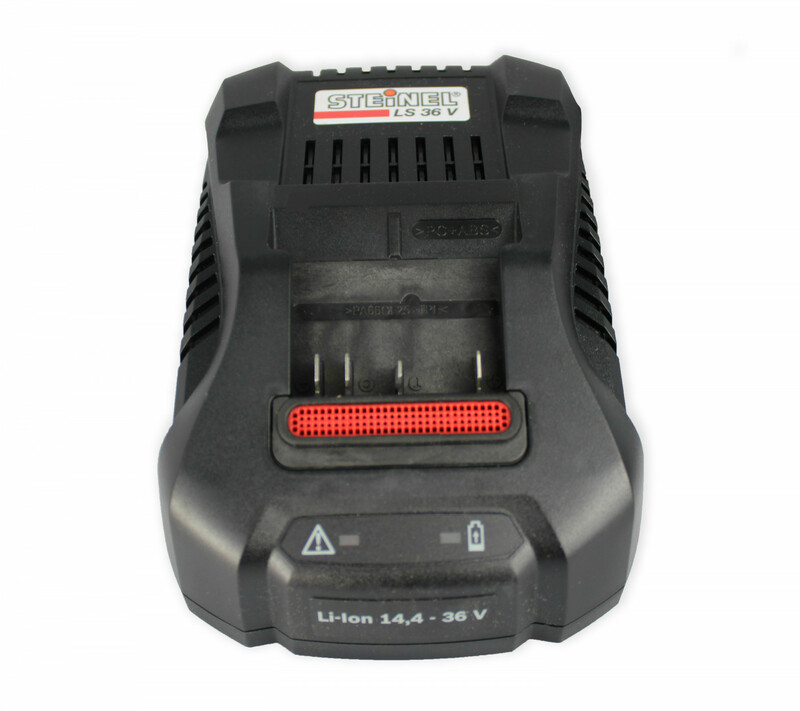 With its powerful Li-ion rechargeable battery, the cordless Heat Gun provides ultimate freedom of movement for hot-air applications - even in places where there is no mains power. 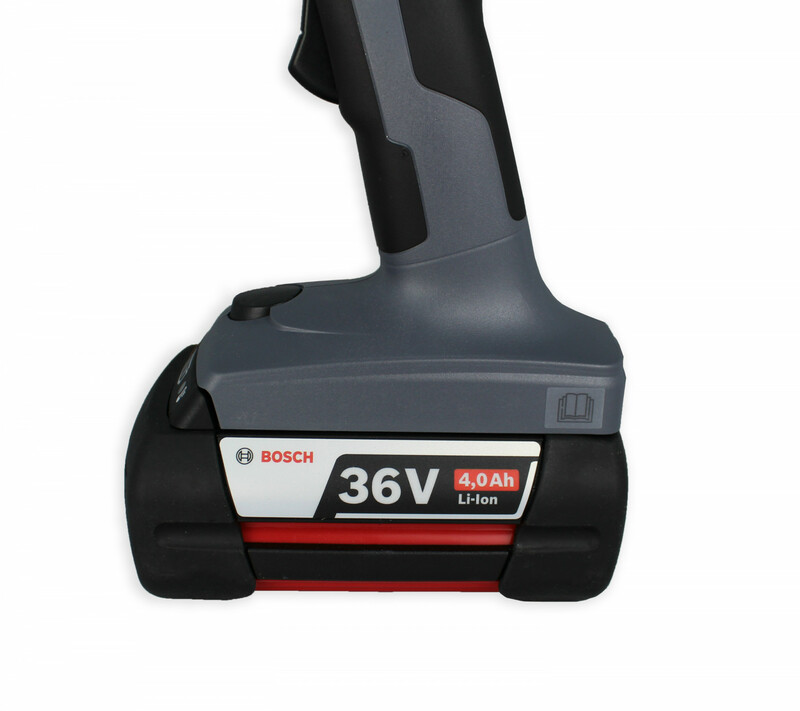 The cordless heat gun's 36-volt Li-ion power pack has a capacitance of 2600 mAh provides enough juice for 15 minutes of continuous hot-air work, meaning you get more time in between recharges. 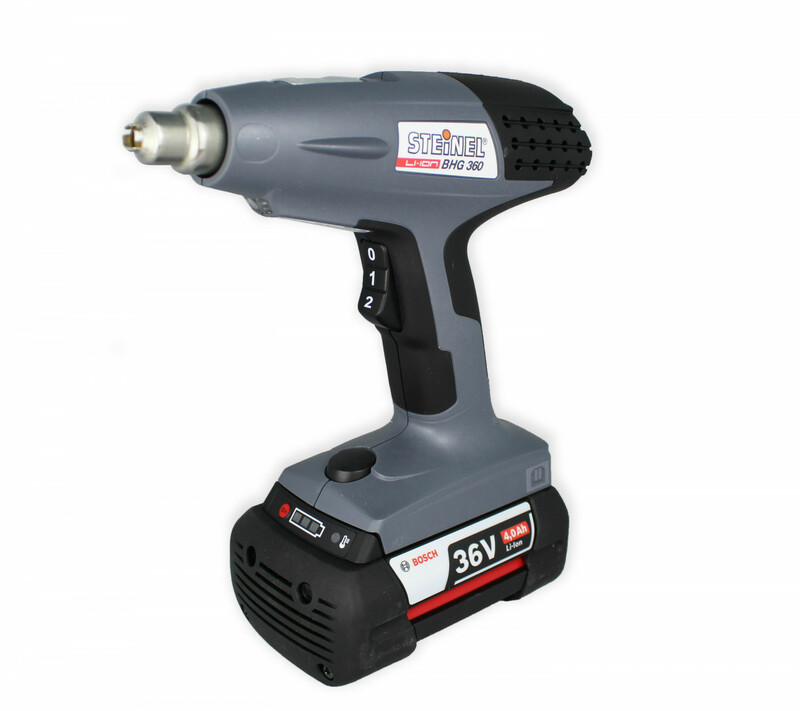 The two-setting heat gun has no memory effect and impresses with minimal self-discharge. 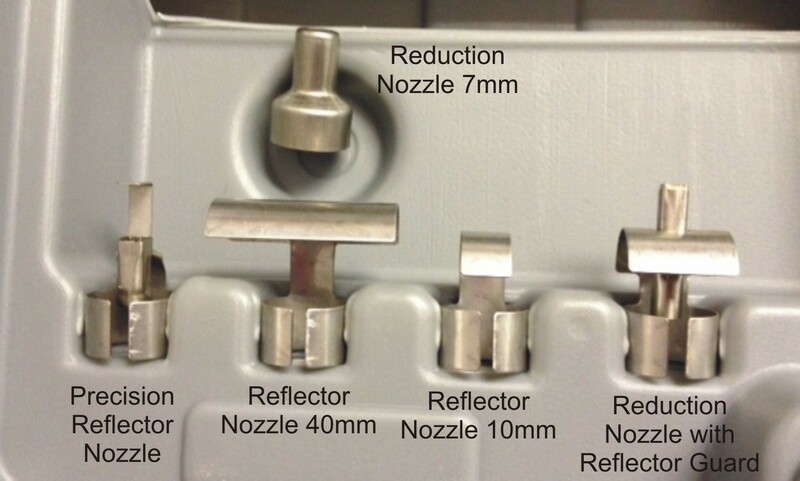 As a result, this hot air tool - which can deliver the same temperature as its mains-powered counterpart - is immediately ready for operation even after a prolonged period out of use. The cordless heat gun kit includes a charger supplied that recharges the battery to 75% capacity in just 30 mins and to full in 60 mins. 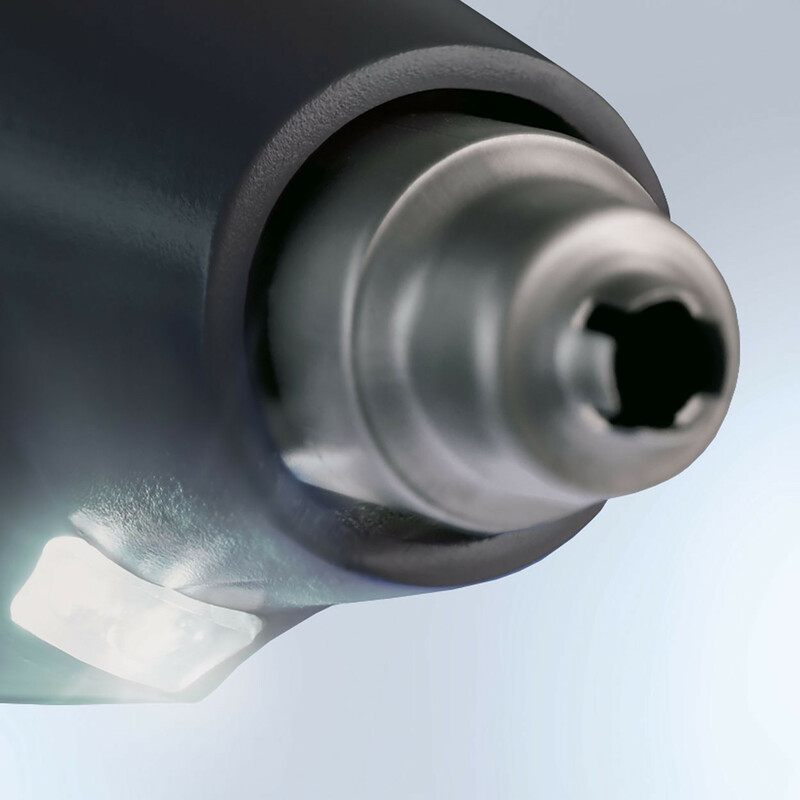 The heat gun has an integrated bright LED light that illuminates even the darkest of work situations. At the same time shows whether the tool is in use. 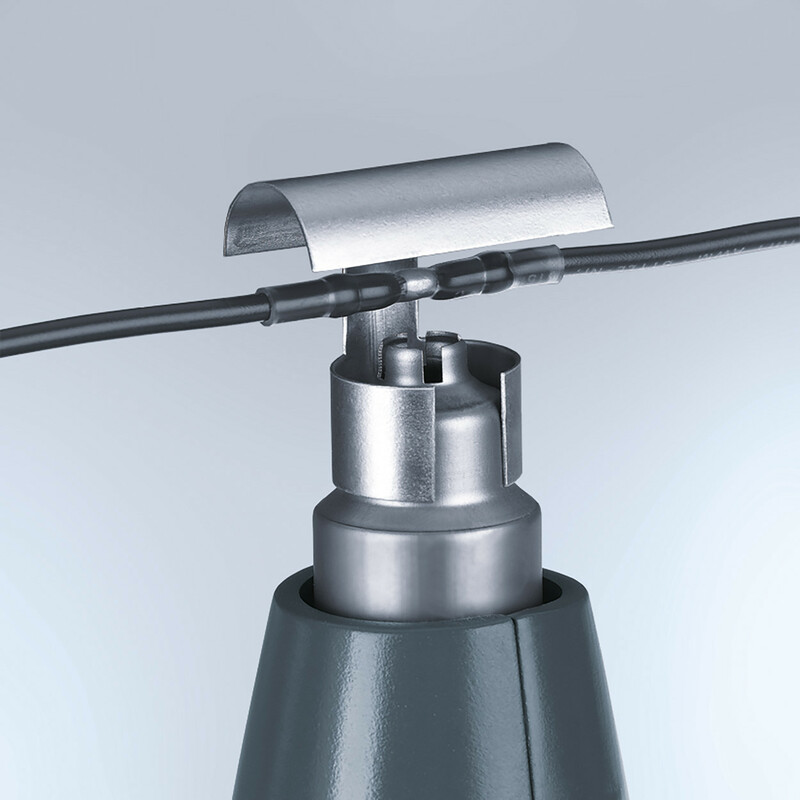 In stationary applications and noisy surroundings, this instantly lets you know what's happening. Lightweight, ergonomically optimised hot air tool. Integrated ring for hanging the tool. ESD Safe: suitable for use at places where there is a risk of electrostatic discharge.